German insurance company Munich Re will now offer long-term insurance on battery performance in energy storage systems, a move that could reduce barriers to investment in energy technologies. Why it matters: Large-scale renewable energy systems are expensive and complex, and in some cases their manufacturers have declared bankruptcy before the end of their systems' maintenance and warranty periods. Insuring against such risks — as well as those associated with relatively untested new battery chemistries — could spur adoption of innovative technologies by utilities and transportation providers and in off-grid applications. How it works: For the purchaser, a 10-year warranty reduces the financial risk for both upfront and maintenance costs and increases confidence in the technology's performance. For the insurer and manufacturer, such programs could speed up development and installation, as the lack of insurance options for energy storage projects is holding back development. Offering an insurance product allows the manufacturer to more easily obtain financing for specific projects because warranty costs would be capped by the insurance policy. Where it stands: The initial insurance offering will be for large projects to stabilize electric grids and improve performance during periods of peak power demand. 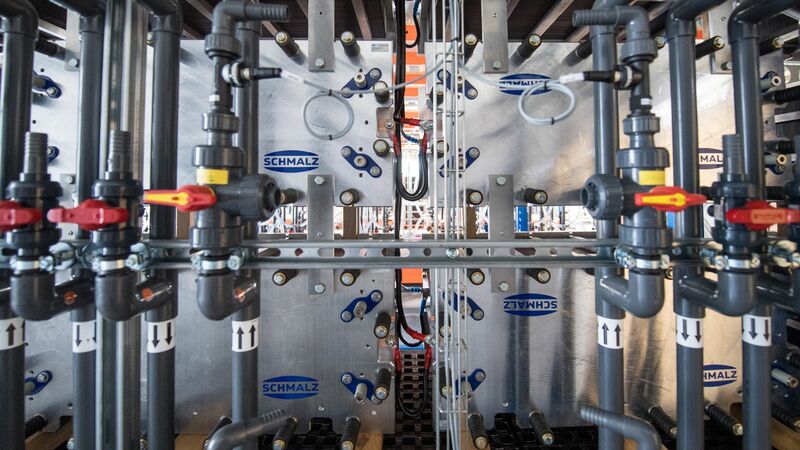 The first energy storage system provider to include Munich Re's coverage is U.S.–based manufacturer ESS, which has secured it for two flow battery systems (a competitor of lithium ion technology that offers more flexibility, a longer cycle life and faster recharging). Additional warranty coverage can be obtained to protect from manufacturers who declare bankruptcy, a common concern in the industry. What to watch: Battery life and replacement costs have been major concerns with electric vehicles, as have 10-year warranties that in some cases outlast their manufacturers. When Fisker, maker of the EV Vehicle Karma, entered bankruptcy in 2012, owners were left with coverage of only $2000 per vehicle. Future policies may extend further into mobility markets, offering more robust consumer protections. The terrorist attack Sunday in Sri Lanka that killed 290 — including several U.S. citizens — and wounded another 500 was among the top 5 deadliest attacks outside of a war zone since 9/11. The group blamed by the Sri Lankan government for the attack, National Thowheeth Jama’ath, was not publicly known in the West. Why it matters: The Sri Lankan attacks are an important reminder that jihadist terrorism remains a significant threat, especially in the region spanning West Africa to Southeast Asia. There are at least 3 times as many Islamic extremists in the world today as there were on 9/11. This form of terrorism could persist for generations. Between the lines: The Easter Sunday attacks underscores how quickly a group can move from a limited capability to an ability to kill hundreds. Prior to the attack, the State Department had not provided any terrorist-related warnings to U.S. citizens traveling to Sri Lanka — a reflection of how quickly the group emerged. What to watch: The backgrounds of the attackers remain unknown. It is possible that at least some were among the tens of thousands who traveled to Iraq and Syria to fight for ISIS from 2014 to 2017, only to come home as the caliphate crumbled. The threat posed by these “returnees” to dozens of countries will continue to worry security and intelligence officials. Michael Morell is global chairman of geopolitical risk at Beacon Global Strategies, a former deputy director of the CIA and host of the podcast "Intelligence Matters."